The CRYSC Goalkeeping program has been built over the past 9 years by the Colorado Rapids First Team goalkeeper coach, Chris Sharpe. The program has been constructed specifically to enable the youth goalkeepers of CRYSC to grow, develop, excel, succeed, and, most importantly, enjoy the position, no matter what level and or age group the individual is playing. As the programs expand toward the future, we plan to continue to build our goalkeepers from within the club, beginning at the U9-10 level. 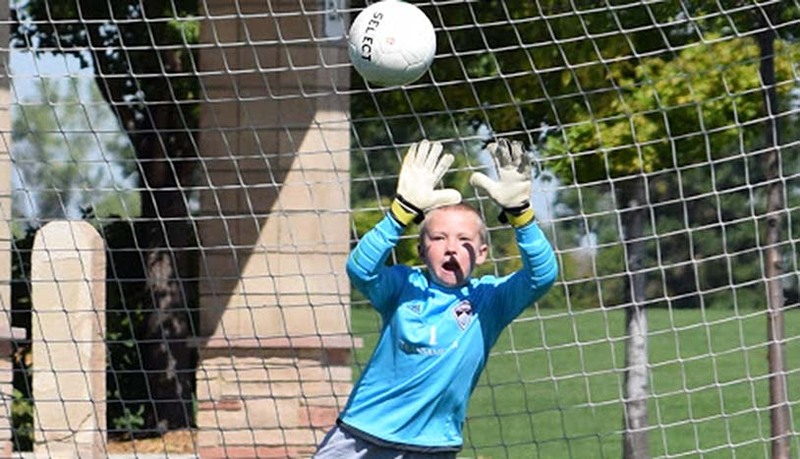 Rapids Youth Soccer offers brief seasonal goalkeeper training for younger players with an interest in goalkeeping. This allows players to get a feel for the unique position before making the decision to be a goalkeeper. Our Goalkeeping Program is regarded as one of the top programs in the country. For every goalkeeper, regardless of age, level, or ability – to come to training on a weekly basis and develop a deeper love for the position of goalkeeping; through hard work, great concentration and pure enjoyment of the sport. Your reward will be games on the weekend and being able to showcase your ability you have learned through our curriculum. It is important for goalkeepers to wear goalkeeper gloves. Goalkeeper gloves not only give you a better grip on the ball, but they offer protection and cushioning. All goalies need a good pair of goalkeeper gloves. When you choose a more expensive product, you hope that you are buying a product that will last longer, but that isn’t necessarily the case with goalkeeper gloves. The most expensive goalie gloves are engineered for feel not durability. The most expensive goalkeeper gloves won’t last as long because the best material for goalkeeper purposes is not as durable as the cheaper materials. Each manufacturer uses various formulas of latex and each apply their own patented technology to their goalkeeper gloves. Core GK, Adidas, Nike, Reusch, Uhlsport, Sells and Puma are our recommendations for Goalkeeper Gloves. There are different goalie gloves for all weather conditions, levels of skill, and pockets. Most goalkeepers will have two pairs of goalkeeper gloves, one for practice and one for games. The best soccer goalkeepers have an inexpensive durable pair of gloves that they use during practice and one pair of the most expensive goalkeeper’s gloves that are ONLY used for games. It is obvious that you want to be playing with your best goalkeeper gloves during the match. Most goalkeeper gloves are comprised of a smooth latex, which provides the best grip. Dimpled and textured latex gloves are also available. They offer more durability but their grip is not as great as pure latex gloves. Some manufacturers also utilize different treatments to increase the tackiness of the glove. Typically the better the latex, the better the gloves will perform. The fingers and wrist bands have also been significantly improved to give better protection for the fingers and wrists. Soccer goalkeeper gloves should fit snugly, but not too tight. Your hand should not slide around inside the glove. It is important that the glove is slightly over-sized so that the keeper’s hands have extra surface area. They should be designed with sufficient padding and the flexibility to manipulate the ball. Make sure you buy the goalkeeper gloves that are right for you. We highly recommend purchasing Core GK gloves due to their durability and comfort. These gloves can be used in grassroots level soccer, right through to the most elite levels. 2009 – Current: US Soccer Men’s Colorado Training Center Goalkeeper Coach. The Player Centered Success model puts the best interests of the player first. This is done by understanding each and every players definition of success and helping them achieve it. Every player at every level of their soccer career has different levels of success. Provides operations and oversight for kids to have a great soccer experience. Provides curriculum and educational resources for players. Work in conjunction with Rapids Youth to support kids’ desires. Educate, inspire, and help all children excel at the level they desire. Keep the game safe and fun for kids at all levels. Rapids goalkeeper staff work with players to enhance all levels of play during this eight-week program available to Select players free of charge and all other players for a small charge. Summer camps are a great way to keep players busy and active during the summer months. 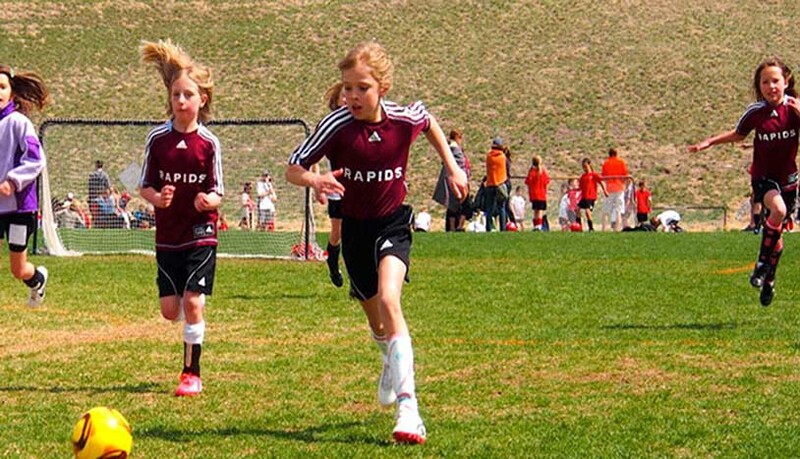 Find out more what Rapids Youth Soccer offers for beginner to advanced players. Winter can be a great time to keep your soccer skills sharp. 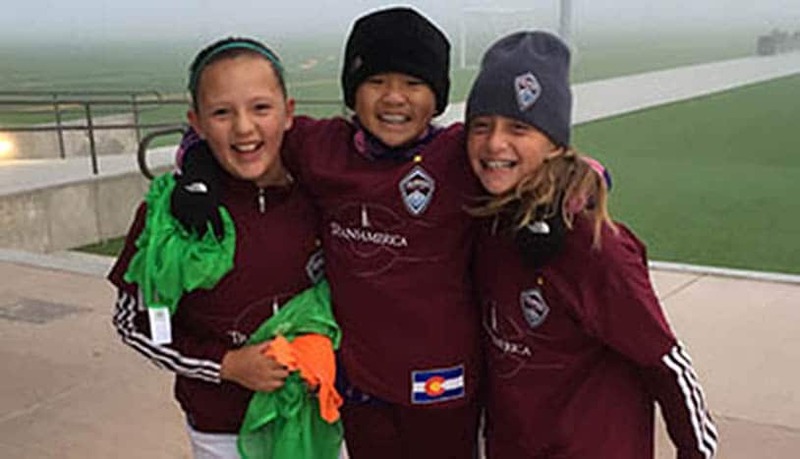 Check out all the programs Rapids Youth Soccer offers to our players to help them stay active over the long winter months. What can we do at home to help my son or daughter improve as a goalkeeper? footwork (2 feet over the top/2 feet sideways/shuffle). How often should we buy goalkeeper gloves for my son or daughter? Using your old gloves in training will force you to concentrate on you hand shape when catching. What home equipment should we purchase for our goalkeeper to improve their footwork and agility? In order to help your goalkeeper practice footwork and agility at home, look into purchasing a jump rope, an agility ladder, and a few cones (3-4). Is it important for our son or daughter to watch soccer? When is an appropriate time for our player to become goalkeeper specific? There is no right or wrong answer to this question. The appropriate time for your son or daughter to become goalkeeper specific all depends on them. If you recognize that your child is enjoying one position more than others, that would warrant a move to position-specific training. On the other hand, once a child reaches a certain age (13+) it is worth evaluating their ability, playing time, and physique to determine how that player can best help the team have success in terms of the position he or she plays.